Spring is on it's way and some of our clients are looking forward to jetting off to the sunshine, but....what happens to their pets?? Our clients prefer to have their pets looked after in their own homes with the added benefit of home security. We find that family pets are happier and healthier when looked after in the family home. It is often more cost effective for pets to be cared for at home. It means that you can go away and enjoy your holiday happy in the knowledge that your pets are cared for by professionals that care. The flexibility in days and hours that they have been able to do has been fab even down to last minute texts for walks when I have had unexpectedly had to go into the office. "We have never left our dogs in kennels and we were worried about leaving them at home but Roy and Lynne were brilliant. They went out of their way to make sure our dogs were looked after and even collected post! One of our dogs is very nervous but even she was fine! Will definitely use them again. Trustworthy and have a genuine love of dogs. Highly recommended." "Lynne and Roy have been looking after our much loved Labrador, Castro, for only a short time, but in that time we have seen his stress tendencies lessen and he is a much happier and contented dog. They are highly professional but deeply caring and we are so glad we found them. We can’t recommend Lynne and Roy highly enough; nothing is too much trouble, whether it’s a half hour walk, or doggy sitting for a longer period. We are delighted, but more importantly, so is Castro!" Both my dogs are walked by Roy and Lynne and I must say I have never seen them come home so happy and tired out. I completely trust them with both my dogs. I would recommend Roy and Lynne very highly. My dogs are my babies and if they are happy so am I.
Roy and Lynne came to visit us and we immediately felt at ease and completely trusted them with our beloved dog Tommy whilst we were away on holiday. Highly recommend them and wouldn't hesitate to use them again when we next go away. Our daughter Jessica was at our house on one occasion when they arrived to take Tommy out and she said how wonderful they both were and that Tommy was happy to see them. Very professional and both Roy and Lynne are clearly very dedicated to their job. The sun is out finally and our clients are looking forward to their holidays but....what happens to their pets?? 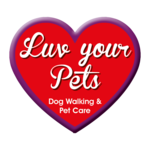 Luv Your Pets is a family owned and run dog walking and pet care business, based in Loddington, Kettering Northants. 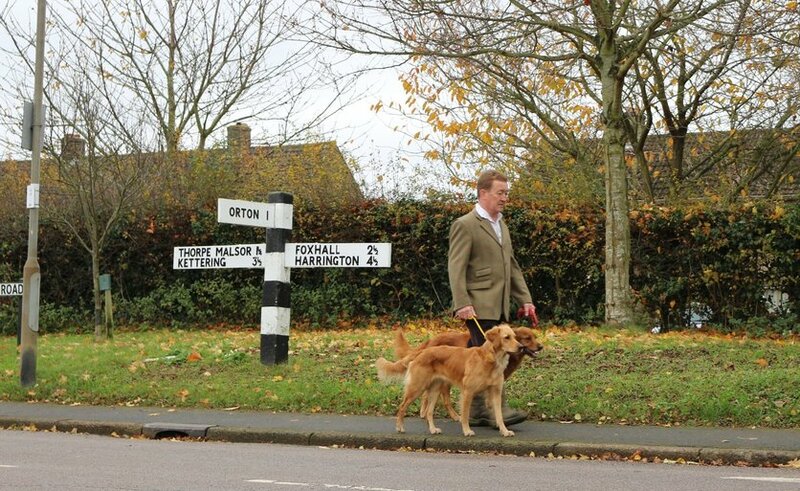 We are ideally situated for local towns and villages within a 10 mile radius such as Loddington, Kettering, Rothwell, Desborough, Cransley, Broughton, Mawsley, Orton, Harrington, Thorpe Underwood, Weekley, Warkton, Barton Seagrave, Glendon, Corby, Stanion and many more. 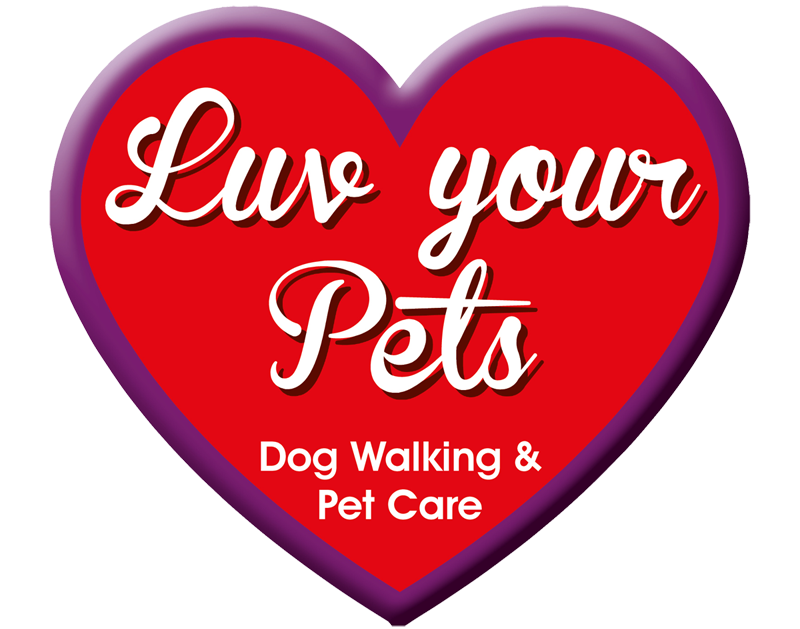 Our business, Luv your Pets aims to give you and your pets the very best service possible by exceeding your expectations and treating your pets as if they were our own making sure they are happy and cared for when you are not able to be there. We put the safety, comfort, welfare and security of your dogs above commercial interest at all times. Our business is more than just a job to us, we wanted to spend our time doing something worthwhile that would offer a service to pet owners and do something that supports pet welfare, which is why we choose to support Wood Green the animal charity. Along with owning dogs and working with them Roy has a real passion for training dogs too, Peggy our oldest Goldie was trained by Roy from 3 months old and she reached the standard of a fully trained multi award winning gundog before she was 2 years old. Peggy won her first 2 awards at 11 months old and 2 more high standard awards in obedience and gundog work the following year. 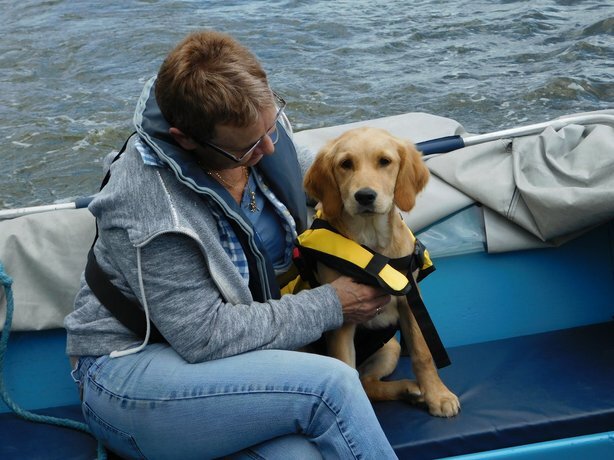 Our youngest Goldie, Kala likes playing more than training so she is taking a lot longer to train but all dogs are different and the way you treat each dog needs to match their ability and temperament. To most people their dogs are like members of the family, and so they should be, they are your babies. Your dogs will always be pleased to see you and give you 100% loyalty and love so it's only right you should give them the best you can in return, and when you can't be there, we will carry on giving that love, care and attention on your behalf so that your dog will be safe, happy and pampered when you are away from your home. 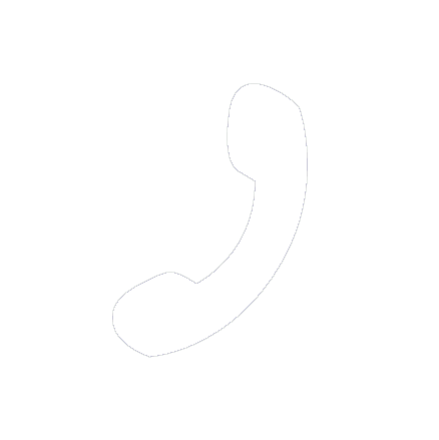 We will go out of our way to ensure we are there for you and your Pets and nothing is too much trouble. Both Lynne and Roy hold pet first aid certificates and always carry a pet first aid kit. We are members of the PDWA Professional Dog Walkers Association, we follow a best practice & compliance code, which is available on request. Our business supports Wood Green Animal Charity with regular monthly donations and other fund raising. Dog walking and pet care services in and around Loddington, Kettering, Rothwell, Desborough, Cransley, Broughton, Mawsley, Orton, Harrington, Thorpe Underwood, Weekley, Warkton, Barton Seagrave and Glendon.